I really enjoyed the video episode a long time ago. For a cooking "show" seeing is half the pleasure. Listening to people talk about it can just be a tease! Please consider throwing in a video here and there. I learned about your show from listening to The Instance. I enjoy cooking and enjoy eating even more. I have fun listening to you guys and can't wait for the next show to come out. I will try and send you a favorite recipe that I have. I am feeling hungry and Geeky, how about you. BRING IT BACK. 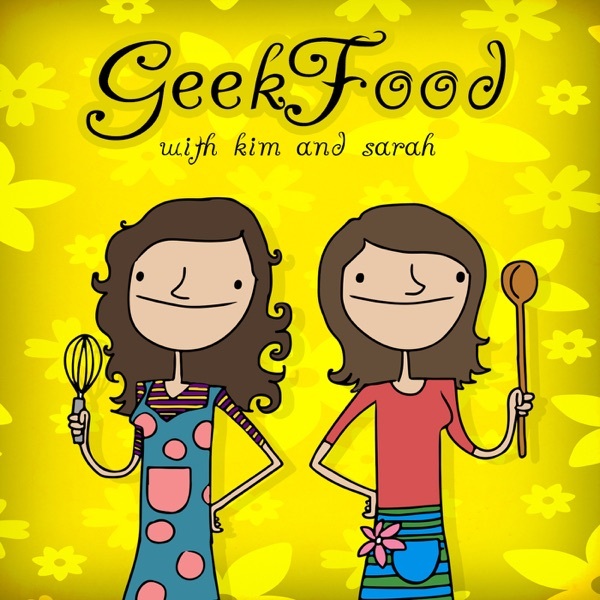 I found Geek Food through old episodes of Extralife Radio, and I loved it! But then I realized - it wasn't updated anymore! As an amateur chef, I find it appalling that this would end after only 11 great episodes. So start keeping up some more great work! What I loved about this podcast, it's not pretentious! Being a fellow food geek, I appreciate this down to earth podcast. Cant wait to try some of the recipes! ELR, Infendo, Diary of a Cartoonist, Geek Food... all great podcasts, in large part due to Scott's humor and goofy nature. He and his wife and family have a great chemistry, and always bring out a smile, and you get to learn new recipes to boot! I do miss the shows with Brian and his wife, but hopefully they'll still be on board on an episode every now and then. Yet another awsome Scott Johnson podcast. It could improve by throwing in step by step instructions on how to make the food so more time goes to the preparation instead of "other". Another excelent Podcast from Scott. I recommend this to anyone who eats food. I have tried several of the dishes talked about and they are absolutely delicious. i HIGHLY recommend this. Fun and family safe. Great for any level of cook. A great example of what audible cooking shows should be! Presented by the Johnson family and occasional guests. This show gives some great recipe ideas for that LAN party or just for a good meal for the geeks or the closet geeks as well. Better than a diet of Cheeto's and Mountain Dew any day! Listen, submit some of your recipes and they may use them on the show! It's rare to come across a family-oriented Podcast and one with food seems even rarer. Unfortunately, they seemed to have quit before they even got started. Grab what's here and hope for more.